If you’re already using Act-On, then you know that marketing automation is an indispensable tool for executing on your B2B marketing strategy. But the majority of B2B marketers still feel that they’re not using the technology to its full potential. In this presentation, Linda West, Director of Digital Marketing at Act-On, explains how ROI-focused marketers can improve their sales enablement and lead generation performance. 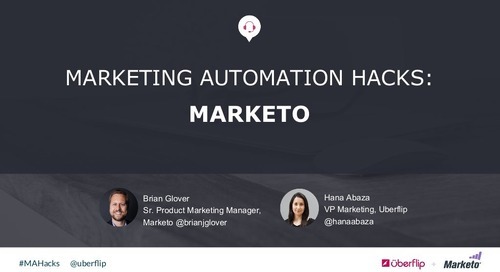 By the end of the webinar, you will walk away with a solid understanding of how to use marketing automation to build a scalable strategy and increase your revenue generating efforts. 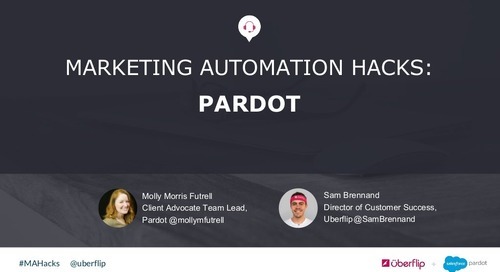 Learn how to better leverage Pardot to meet your B2B marketing goals. Learn how to better leverage Marketo.